From the leader in anime and internationally renowed director of Akira, comes Katushiro Otomo's long-awaited epic anime Steamboy. Victorian London is attacked by an army of futuristic, mechanised war machines and only Ray Steam - the young, brave inventor who knows the astonishing secret behind the invading force's incredible power - stands between the city's survival and ultimate destruction. 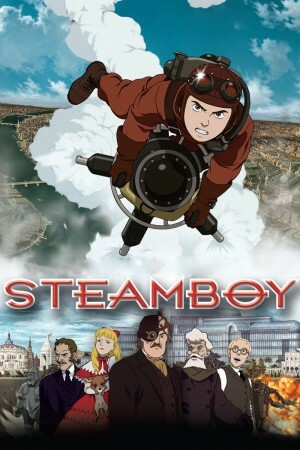 Over 10 years in the making and Katushiro Otomo's first feature-length film since Akira, Steamboy is one of the most elaborate animes ever made!